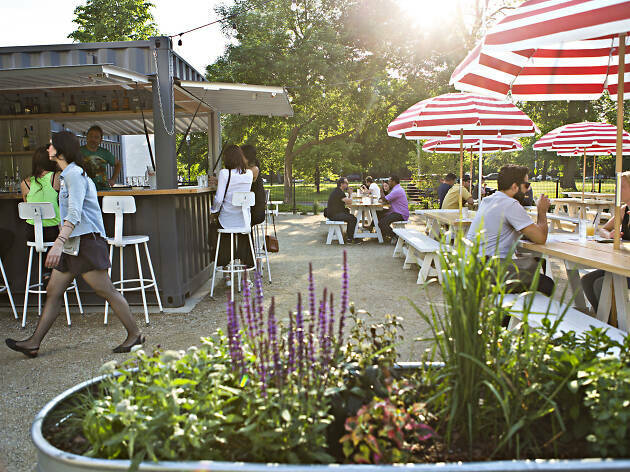 Some of the city's best outdoor bars offer more than delectable bites and frozen cocktails. 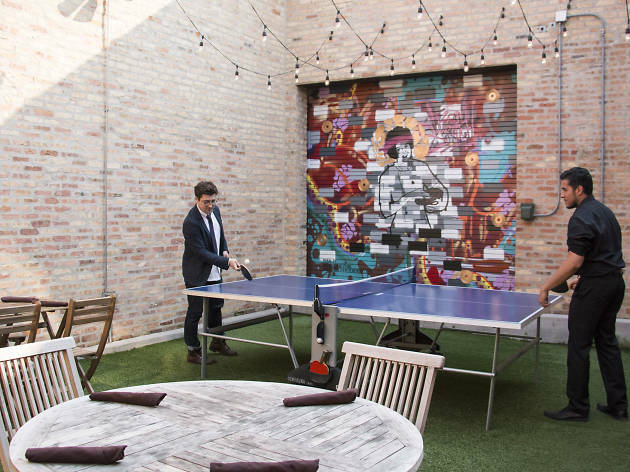 These patios and rooftops add an interactive element with bocce ball, Ping-Pong, bags and other games made for socializing. 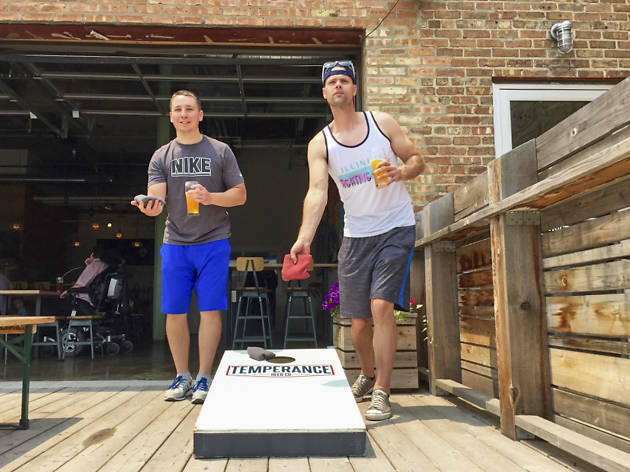 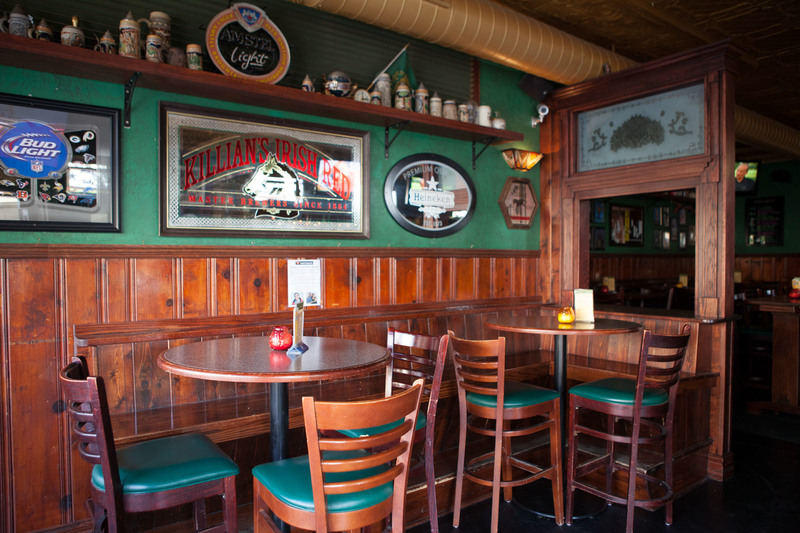 Take your competitive spirit outside this summer at these Chicago bars. 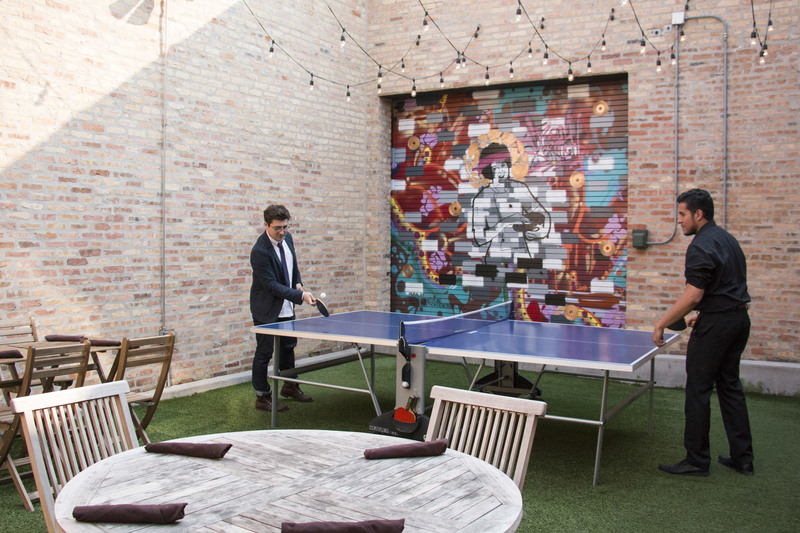 Tucked away in the West Loop, Saint Lou's out-back patio is an idyllic urban retreat complete with stadium seating and a full bocce ball court. 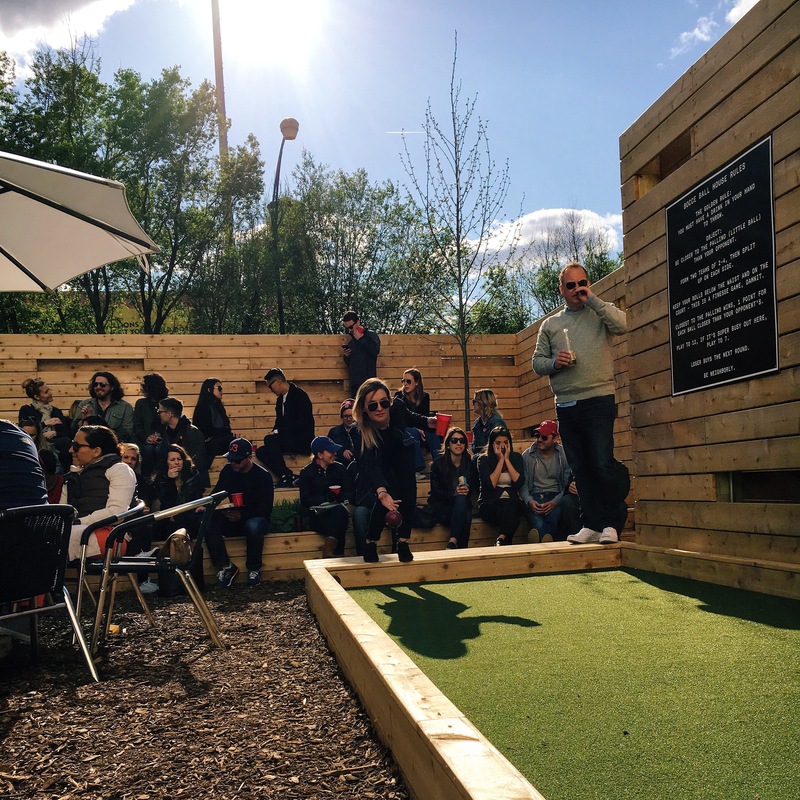 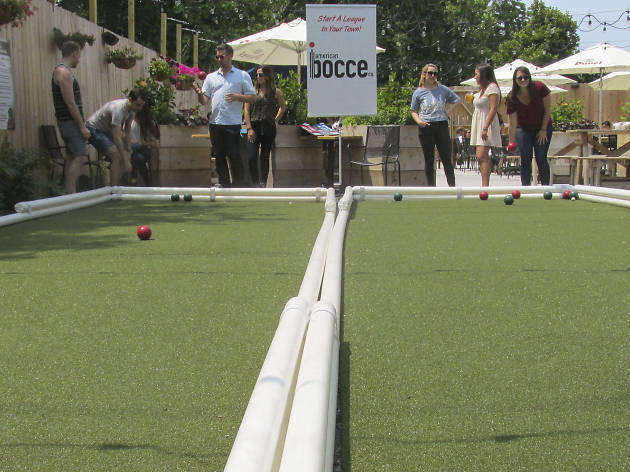 Sip frosé and indulge in some friendly competition or join an American Bocce Co. league for the summer. 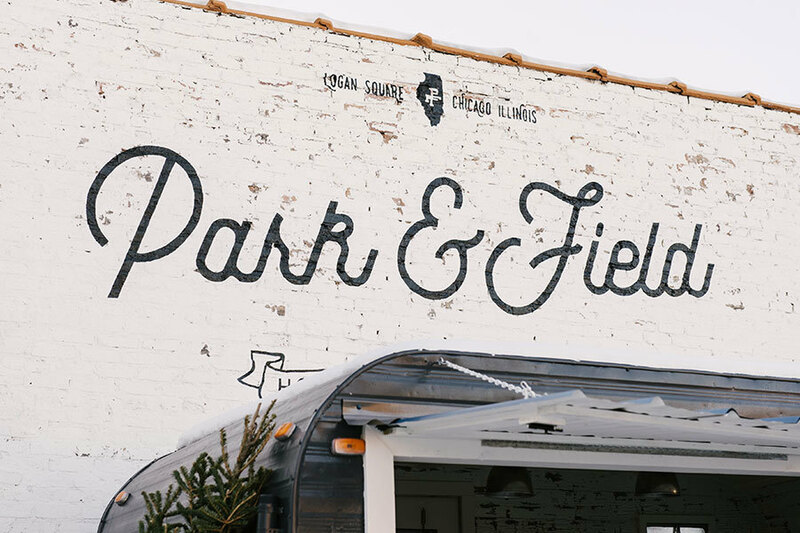 Play Ping-Pong under the stars at Ada St. while snacking on deep-fried black-eyed peas, crunchy polenta fries and seasonal bruschetta. 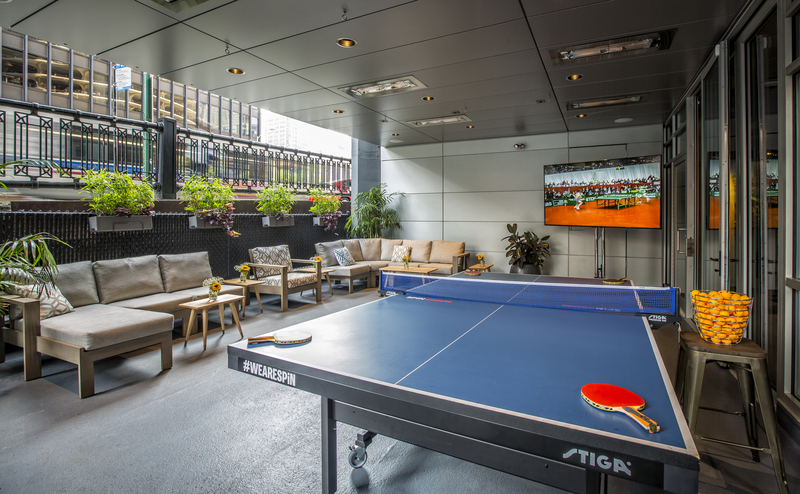 Keep the competitive spirit alive with expertly crafted cocktails, beer and wine. 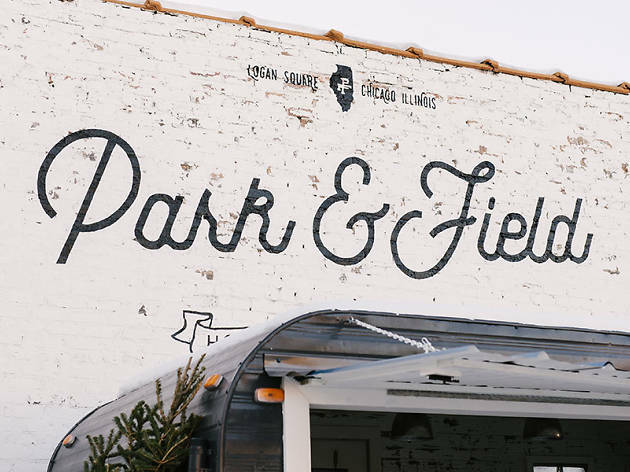 Boasting more than 6,000 square feet of space, Park & Field's patio is outfitted with bonfire pits, bocce ball courts and plenty of outdoor seating. 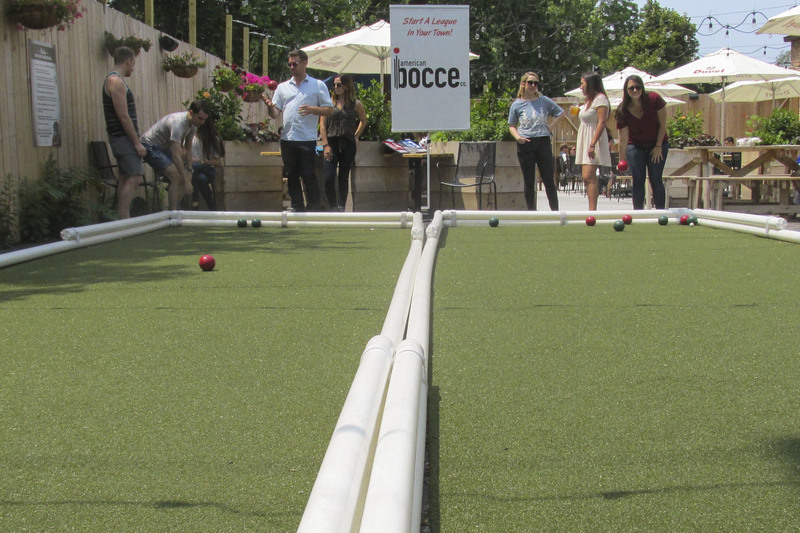 Bocce is first-come, first-served, but you can also sign up for a league at the bar. 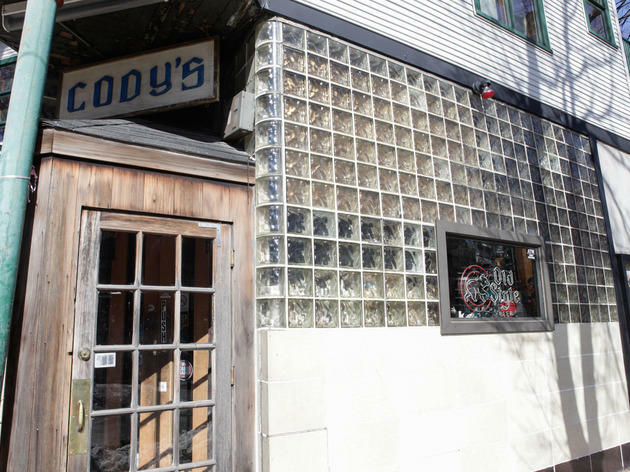 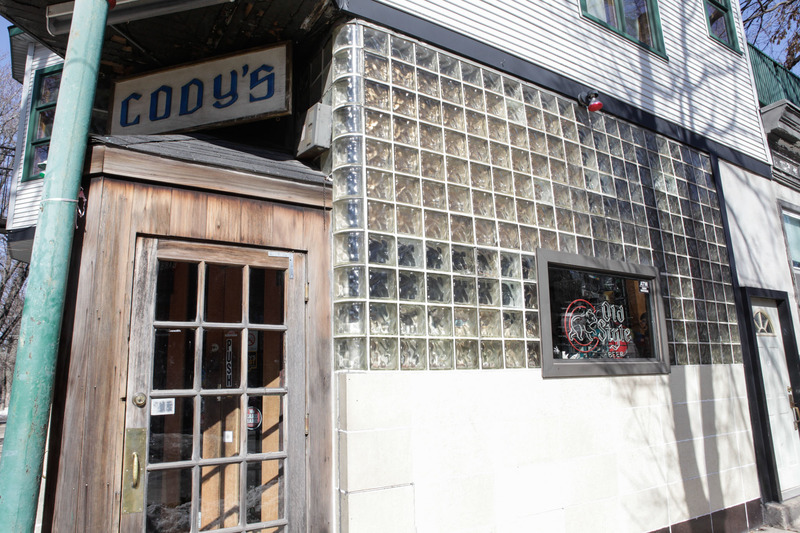 Cody's is dog-friendly, so four-legged friends are welcome to join while you hang out on the patio playing English darts and bags with $2.75 bottles of Old Style and cans of Schlitz. 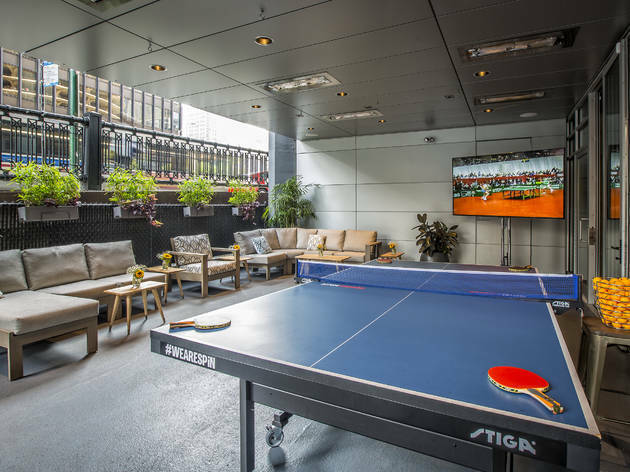 The River North Ping-Pong social club offers a summer-ready solution for those looking to take it outside. The spot's covered patio is situated off State Street and boasts a Ping-Pong table and life-size Jenga. 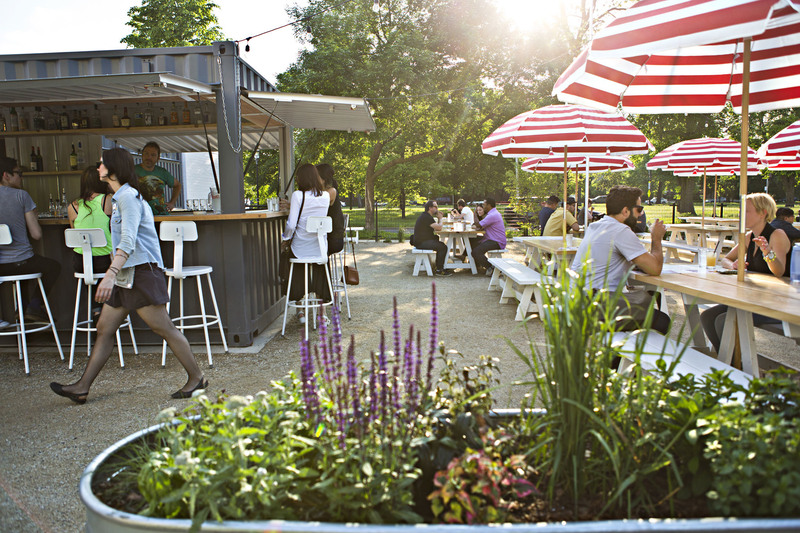 Plus, you can enjoy cocktails, coffee and the full menu alfresco. 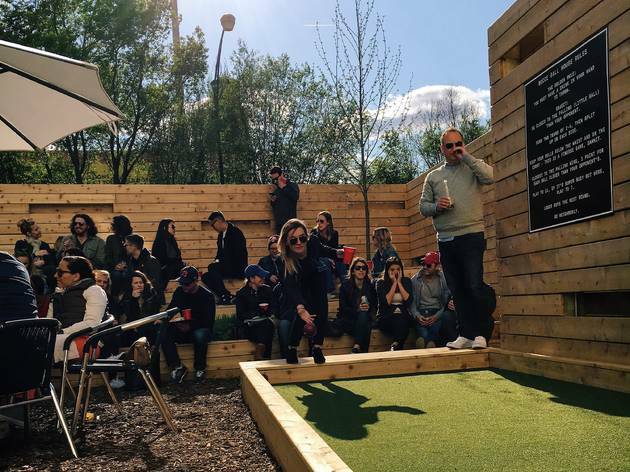 Kaiser Tiger has one of the best beer gardens in town, offering a seemingly endless selection of suds, decadent craft sausages and two bocce courts, which are available for a small fee on a first-come, first-served basis. 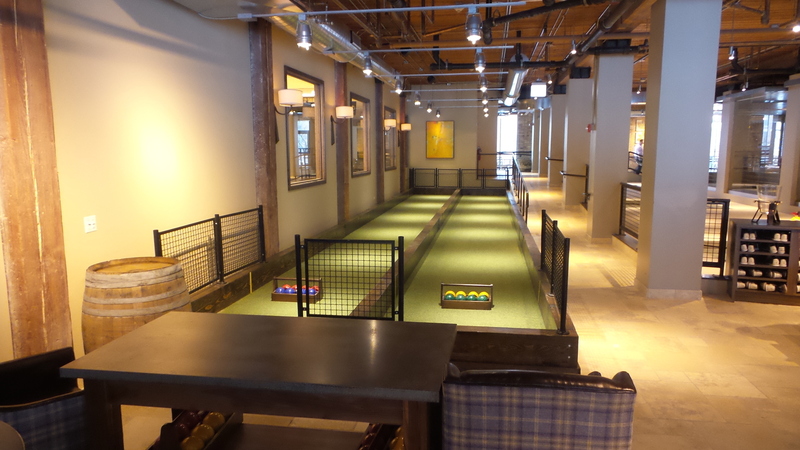 The wait at Parson's isn't so bad when you throw in those famous negroni slushies and a lively Ping-Pong table. 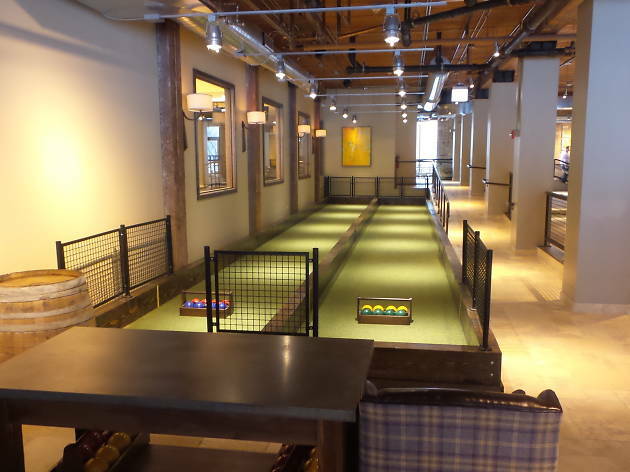 Weeknight happy hour gets a serious upgrade courtesy of Pinstripe's renovated rooftop with two bocce ball courts and bowling inside. 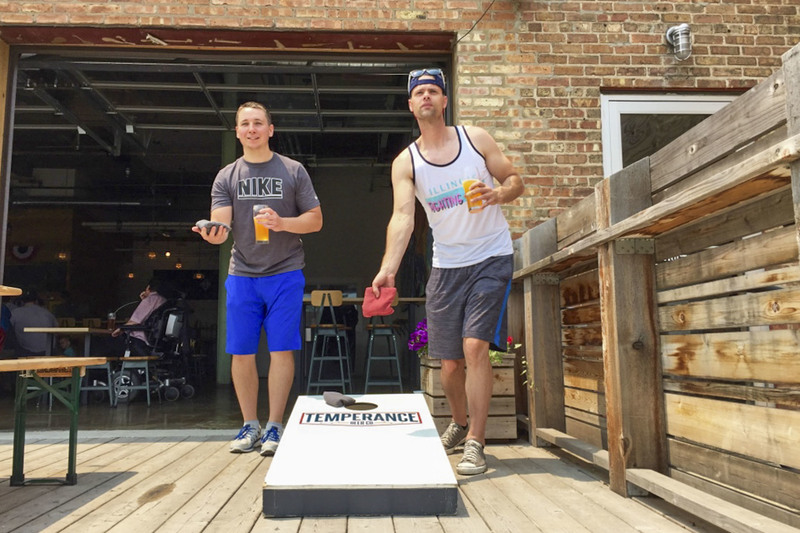 When it's nice out, the garage door at Temperance Beer Company opens onto a patio where you can play bags. 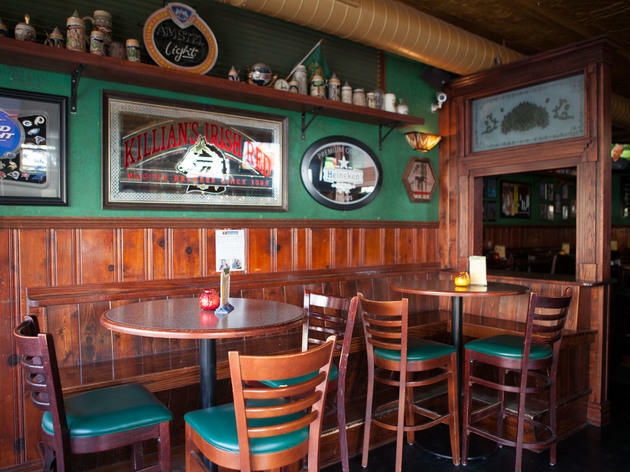 Windsor Tavern, a friendly wood-clad corner pub and beer garden, offers fish tacos and juicy burgers, as well as a bags set outdoors.